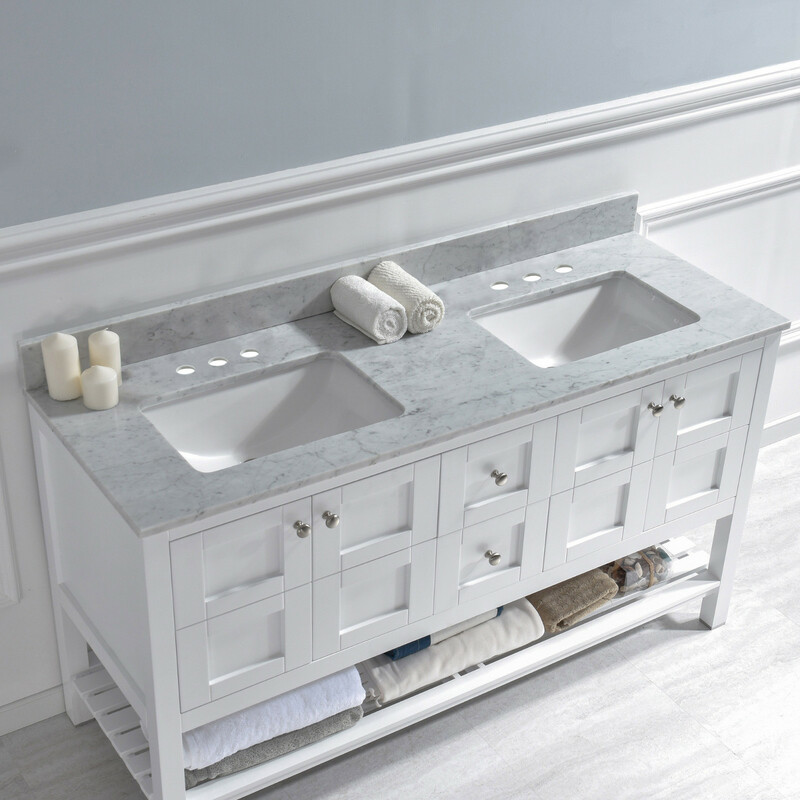 ✔️ [Elegant & Stylish Top ]: Warmly elegant and stylish, Carrara marble vanity top complement most Bathroom designs and coordinate with both light and dark cabinetry. 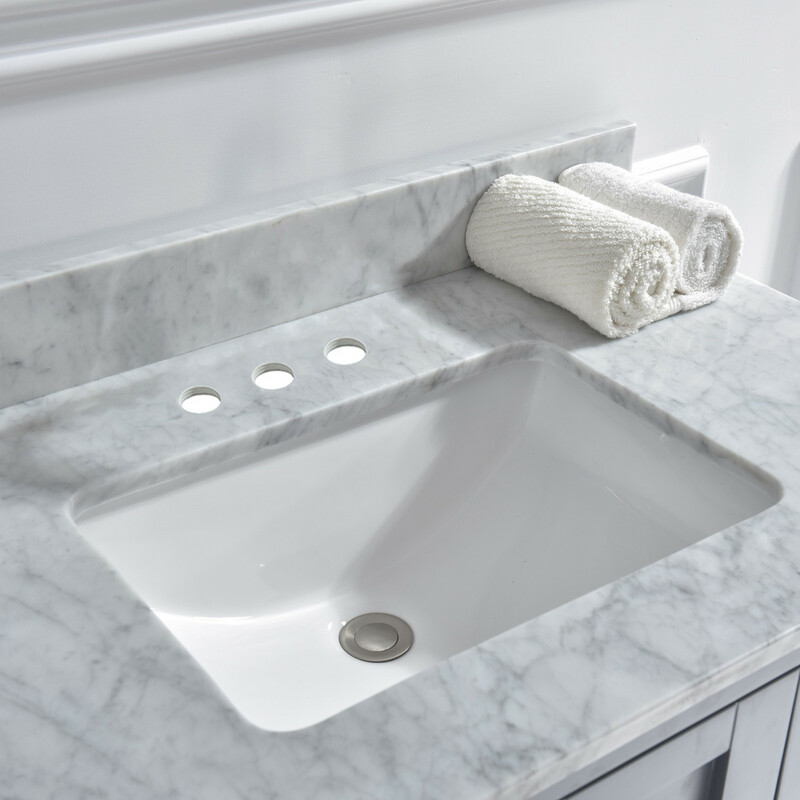 High-end and classic natural stone top Pre-sealed and Polished for added protection. ✔️ [CERTIFICATION& WARRANTY]: US & Canada UPC & CSA certified bowl. one years limited Warranty , Woodbridge US based product support team is happy to assist with any sales or product-oriented queries.